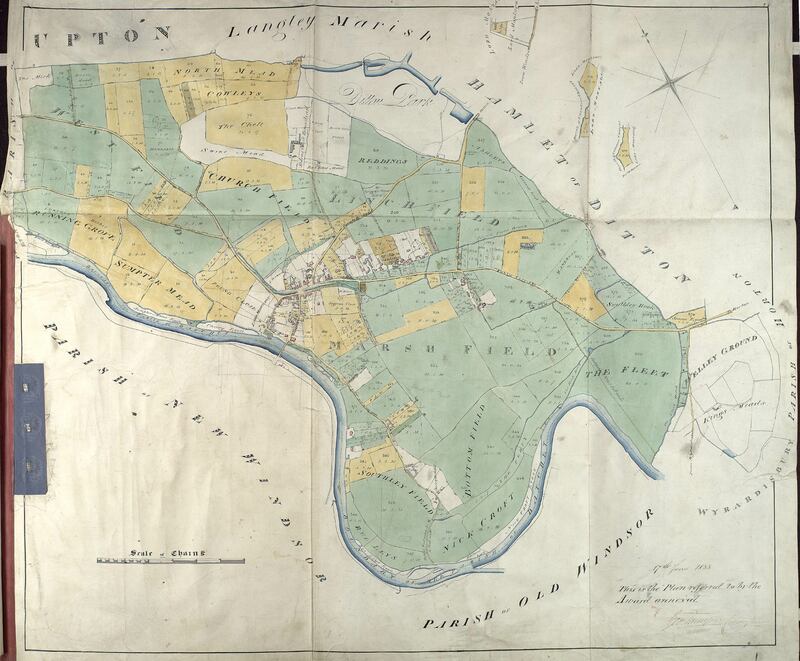 This is the first detailed map of Datchet, actually surveyed in about 1810. It was drawn up to record the changes in land ownership when the old open fields of the parish were divided up, enclosed, and transferred to individual owners. The green and brown colours do not indicate different crops, but record how the land was owned then, by freehold or by copyhold from the Manor of Datchet. White areas are ‘old enclosures’ of land belonging to an estate or a dwelling and were not affected by the changes taking place. If you have any queries do please get in touch because answers can usually be provided. You might find The Growth of Datchet 1: Before the Railway, useful in interpreting the map. It can be found on the General Articles menu. 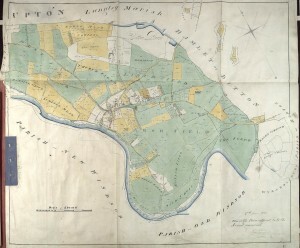 The digital map image is from Berkshire Record Office’s New Landscapes Project, although the map itself is at the Centre for Buckinghamshire Studies in Aylesbury. Click to enlarge and then use the zoom tool.